در این تحقیق دینامیک فوم شدن و ریزساختار سلولی پلی‌استایرن و نانوکامپوزیتهای پلی‌استایرن/ نانوسیلیکا حاوی عامل فوم‌زای نرمال پنتان مورد ارزیابی قرار گرفت. برای بررسی دقیق نحوه ایجاد و رشد حباب‌ها در نمونه‌ها از مشاهدات مستقیم تصویربرداری میکروسکوپی درجا استفاده شده و فرآیند فوم‌شدن آن‌ها در سیستم ناپیوسته بررسی گردید. نانوکامپوزیت‌ها به روش اختلاط محلولی تهیه گردیدند و رفتار رئولوژیکی آنها توسط آزمون رئومتری ارزیابی شدند. برای تعیین کشش سطحی نمونه‌ها از آزمون زاویه تماس استفاده گردید. حضور نانوذرات سیلیکا منجر به کاهش زاویه تماس و افزایش کشش سطحی نمونه ها گردید. برای بررسی دینامیک فوم شدن نمونه‌ها، فیلم‌هایی به ضخامت 200 میکرومتر درون محفظه دما و فشار بالا با نرمال پنتان اشباع گردیدند و مقدار عامل فوم‌زای یکسانی در همه نمونه ها وارد شد. دینامیک فوم‌شدن توسط سامانه طراحی شده مورد مطالعه قرار گرفت. اثر دما بر روی دینامیک فوم‌شدن نمونه‌ها که همگی حاوی %3 وزنی نرمال‌پنتان بودند، بررسی گردید. با وجود این که نرخ هسته‌گذاری و رشد حباب در نمونه‌ها با افزایش دما از ºC140 به ºC160، تقریباً دو برابر گردید، اما توزیع اندازه‌ی سلولی پهن‌تری مشاهده شد. در نمونه‌های نانوکامپوزیتی، هسته‌گذاری نسبت به پلی‌استایرن افزایش یافته و زمان شروع هسته‌گذاری کاهش یافته است. با افزایش مقدار گاز نرمال پنتان در نمونه‌ها به %5 وزنی، میزان هسته‌گذاری در نمونه‌های نانوکامپوزیتی مختلف نسبت به پلی‌استایرن افزایش چشمگیری یافت. برای بررسی ریزساختار نهایی نمونه‌ها، تصاویر SEM تهیه شد و نتایج نشان داد که نانوذرات سیلیکا، ریزساختار نهایی سلول‌ها را یکنواخت‌تر کرده است. In this study the foaming dynamics and cell microstructure of polystyrene (PS) and polystyrene/nanosilica nanocomposites containing n-pentane foaming agent were investigated. In order to evaluate the nucleation and growth of bubbles in samples, in-situ microscopic observation method was used, and their foaming process in a discontinuous system was investigated. Nanocomposites were prepared by solution mixing method and their rheological properties were determined by rheological test. The contact angle method was used surface tension measurements. Incorporating of nanosilica into PS matrix decreased the contact angle and increased the surface tension of the samples. In order to investigate the foaming dynamics of samples, sheets with thickness of 200 µm were saturated in a high temperature and pressure chamber. Foaming dynamics was studied by the designed system. The temperature effect on the foaming dynamics was investigated in the samples containing of 3 %wt. n-pentane. Although the nucleation and growth rate of bubbles with temperature increasing from 140 to 160 ºC has almost been doubled, but broader cell size distribution was observed. In nanocomposite samples the nucleation has been increased compared to polystyrene, and the onset of nucleation has been dropped. By increasing n-pentane content to 5 %wt., the nucleation in nanocomposite samples was significantly increased compared to polystyrene. For further investigation of the final microstructure of foams, scanning electron microscopy (SEM) images were prepared and the results showed that silica nanoparticles have generated more uniform cells in the final microstructure. Lee, S. T. and Ramesh, N. S., “Polymeric Foams: Mechanisms and Materials” CRC Press, 2004. Shen, J. Zeng, C. and Lee, L. J., “Synthesis of Polystyrene–Carbon Nanofibers Nanocomposite Foams” Journal of polymer, Vol. 46, No. 14, pp. 5218-5224, 2005. Leung, S. N. Park, C. B. and Li, H., “Effects of Nucleating Agents’ Shapes and Interfacial Properties on Cell Nucleation” Journal of Cellular Plastics, Vol. 46, No. 5, pp. 441-460, 2010. Bao, J. B. Liu, T. Zhao, L. Hu, G. H. Miao, X. and Li, X., “Oriented Foaming of Polystyrene with Supercritical Carbon dioxide for Toughening” Journal of Polymer, Vol. 53, No. 25, pp. 5982-5993, 2012. 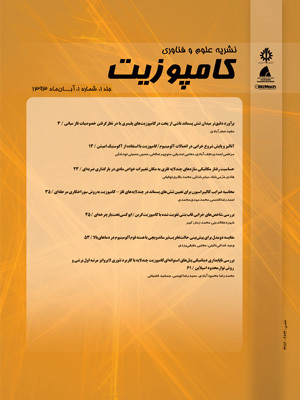 Zakiyan, S. E. Famili, M. H. N. and Ako, M., “Heterogeneous Nucleation in Batch Foaming of Polystyrene in Presence of Nanosilica as a Nucleating Agent” Iranian Journal of Polymer Science and Technology, In Persian, Vol. 25, No. 3, pp. 231-240, 2012. Chen, L. Rende, D. Schadler, L. S. and Ozisikb, R., “Polymer nanocomposite foams” Journal of Mater Chemistry A, Vol. 1, No. 12, pp. 3837–3850, 2013. Zakiyan, S. E. Famili, M. H. N. and Ako, M., “Controlling Foam Morphology of Polystyrene via Surface Chemistry, Size and Concentration of Nanosilica Particles” Journal of Mater Science, Vol. 49, No. 18, pp. 6225-6239, 2014. Liao, R. Yu, W. and Zhou, C., “Rheological Control in Foaming Polymeric Materials: I. Amorphous Polymers” Journal of Polymer, Vol. 51, No. 2, pp. 568-580, 2010. Ershad-Langroudi, A. and Akkaf, M. H., “Improvement in the Mechanical Properties of Polyester Nanocomposite with Nano-silica Prepared by Sol-gel Method” Journal of Science and Technology of Composites, In Persian, Vol. 3, No. 4, pp. 419-428, 2017. Zhai, W. Yu, J. Wu, L. Ma, W. and He, J., “Heterogeneous Nucleation Uniformizing Cell Size Distribution in Microcellular Nanocomposites Foams” Journal of Polymer, Vol. 47, No. 21, pp. 7580-7589, 2006. Vaziri, H. S. Omaraei, I. A. Abadyan, M. R. Mortezaei, M. and Yousefi, N., “Thermophysical and Rheological Behavior of Polystyrene/silica Nanocomposites: Investigation of Nanoparticle Content” Journal of Materials and Design, Vol. 32, No. 8, pp. 4537-4542, 2011. Mortezaei, M. Famili, M. H. N. and Kokabi, M., “The Role of Interfacial Interactions on the Glass-Transition and Viscoelastic Properties of Silica/Polystyrene Nanocomposite” Journal of Composites Science and Technology, Vol. 71, No. 8, pp. 1039-1045, 2011. Doroudiani, S. and Kortschot, M. T., “Polystyrene Foams. I. Processing-Structure Relationships” Journal of Applied Polymer Science, Vol. 90, No. 5, PP. 1412-1420, 2003. Pop-Iliev, R. Dong, N. Xu, D. and Park, C. B., “Visualization of the Foaming Mechanism of Polyethylene Blown by Chemical Blowing Agents under Ambient Pressure” Advances in Polymer Technology, Vol. 26, No. 4, PP. 213-222, 2007. Mohebbi, A. Mehrabani-Zeinabad, A. and Famili, M. H. N., “Dynamic Behavior of Nucleation in Supercritical N2 Foaming of Polystyrene-Aluminum Oxide Nanocomposite” Journal of Polymer Science A, Vol. 53, No. 11, pp. 1076-1085, 2011. Gendron, R., “Thermoplastic Foam Processing: Principles and Development” CRC Press, 2004. Kim, S. G. Leung, S. N. Park, C. B. and Sain, M., “The effect of Dispersed Elastomer Particle Size on Heterogeneous Nucleation of TPO with N2 Foaming” Journal of Chemical Engineering Science, Vol. 66, No. 16, pp. 3675-3686, 2011. Azimi, H. R. Rezaei M. and Abbasi, F., “The Effect of Expansion Conditions on the Batch Foaming Dynamics of St-MMA Copolymer” Journal of Cellular Plastics, Vol. 48, No. 2, pp. 125-140, 2011. Taki, K. Yanagimoto, T. Funami, E. Okamoto, M. and Ohshima, M., “Visual Observation of CO2 Foaming of Polypropylene-Clay Nanocomposites” Polymer Engineering and Science, Vol. 44, No. 6, pp. 1004-1011, 2007. Azimi, H. R. Rezaei, M. and Salehi, M., “The Effect of Copolymer Composition on the Batch Foaming Dynamics of Styrene/Methylmethacrylate Copolymers” Journal of Thermolastic Composite Materials, Vol. 30, No. 1, pp. 47-66, 2015. Emami, M. Thompson, M. R. and Vlachopoulos, J., “Experimental and Numerical Studies on Bubble Dynamics in Nonpressurized Foaming Systems” Journal of Polymer Engineering and Science, Vol. 54, No. 8, pp. 1948-1952, 2014. Taki, K. Tabata, K. Kihara, S. I. and Ohshima, M., “Bubble Coalescence in Foaming Process of Polymers” Journal of Polymer Engineering and Science, Vol. 46, No. 5, pp. 680-690, 2006. Enayati, M. S. Famili, M. H. N. and Janani, H., “Open-celled microcellular foaming and the formation of cellular structure by a theoretical pattern in polystyrene” Iranian Polymer Journal, Vol. 22, No. 5, pp. 417-428, 2013. Tsivintzelis, I. Angelopoulou, A. G. and Panayiotou, C., “Foaming of polymers with supercritical CO2: An experimental and theoretical study” Journal of Polymer, Vol. 48, No. 20, pp. 5928-5939, 2007. Salejova, G. and Kosek, J., “Dynamics of Foaming of Polystyrene Particles” Macromolecular Symposia, Vol. 243, No. 1, pp. 233-246, 2006. Famili, M. H. N. Janani, H. and Enayati, M. S., “Foaming of a Polymer-Nanoparticle System: Effect of the Particle Properties” Journal of Applied Polymer Science, Vol. 119, No. 5, pp. 2847-2856, 2010. Salehi, M. Rezaei, M. and Hosseini, M. S., “Experimental and theoretical investigation on polystyrene/n-pentane foaming process” International Journal of Material Forming, Vol. 10, No. 3, pp. 421-434, 2016. Park, S. J. and Jin, J. S., “Effect of corona discharge treatment on the dyeability of low-density polyethylene film” Journal of Colloid and Interface Science, Vol. 236, No. 1, pp. 155-160, 2001.